After the success of the premier SECTECH show in Stockholm last year, Copenhagen and Oslo are the next cities to host this event. Based on a small and very focused exhibition, some seminars and a two days conference-session, SECTECH has quickly been established as a major event in Scandinavia. ­ -The interest to participate at Sectech is more than we can handle. In both Copenhagen and Oslo we have decided for only twenty-five stands. This means that the exhibition space will be sold out in both cities by the end of may, says Lennart Alexandrie, MD of one of the organisers, Ar media. At the very first launch of the Oslo-event, on February 11th, 33% of the stands were sold out. 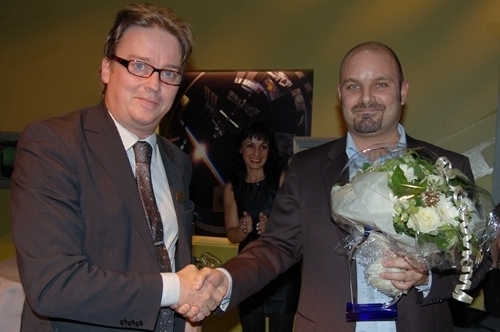 -Today we have sold over 60% of SECTECH´s stands, says Deniz Baykal, sales manager at AR Media. In Stockholm last year, Sectech was organised at the Quality Globe Hotel. The event attracted 40 exhibitors which means that it was actually "overbooked" (only 35 stands were in the original plan). The total numbers of visitors were 1 178 persons, which was more than the scheduled 1000 visits forecasted. In Denmark SECTECH will be from October 22-23 at the Radisson SAS Scandinavia in central Copenhagen. The number of exhibitors is limited to 25 companies. Around 600 visitors are expected to attend the exhibition, the seminars and the conference. In Norway SECTECH will be held from November 13-14th at the Radisson SAS Plaza Hotel in central Oslo. The numbers of exhibitors and visitors will be similar to the Copenhagen figures. Both shows are organised by Ar Media and the Internernational Stockholm Fair.